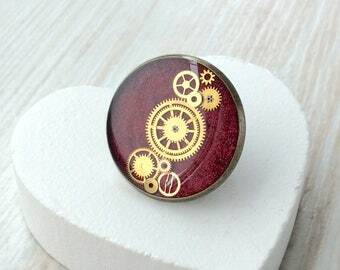 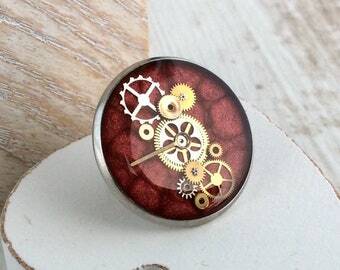 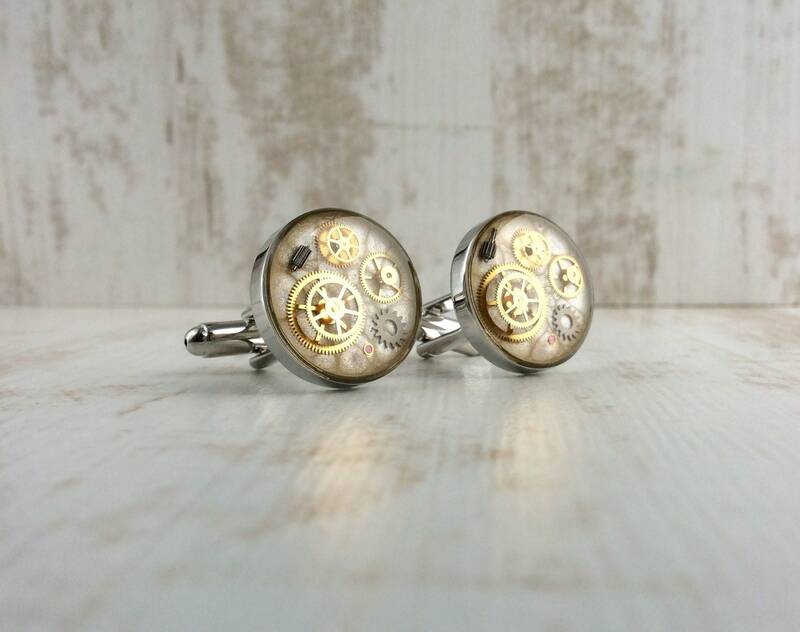 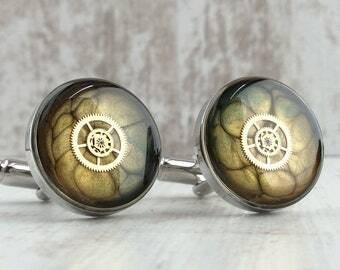 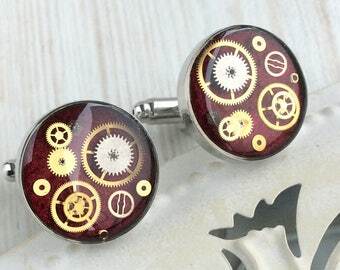 You will receive the EXACT pair you see in the pictures as each pair uses unique recycled watch workings and will vary slightly. 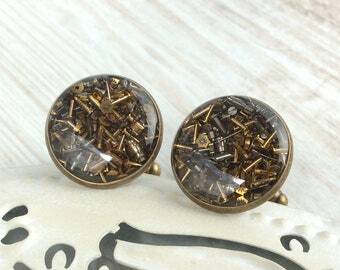 Lovingly packaged in the black box shown, so it is ready to gift as soon as you receive it. 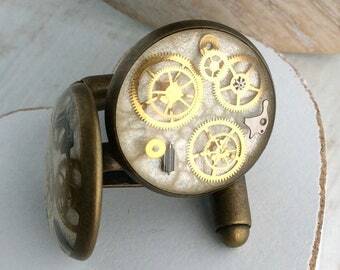 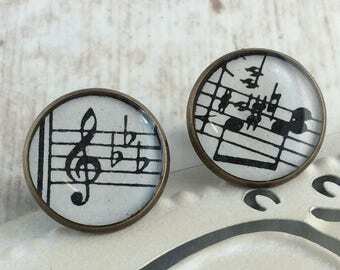 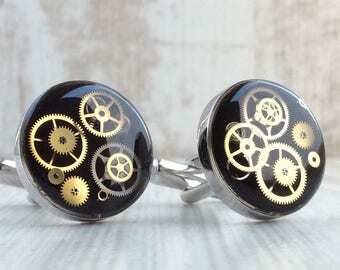 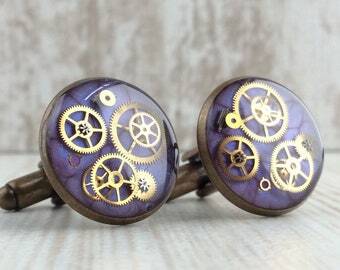 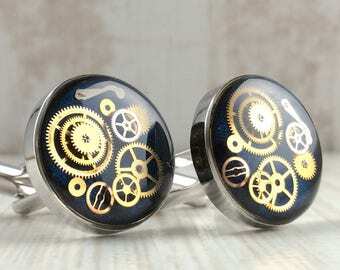 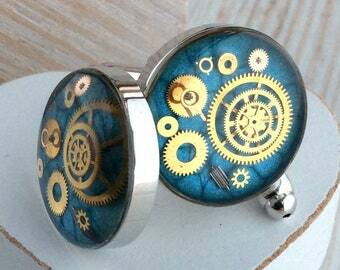 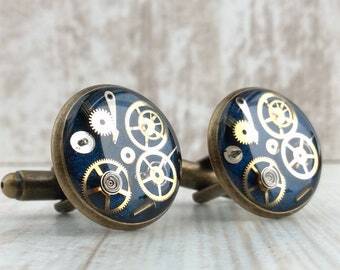 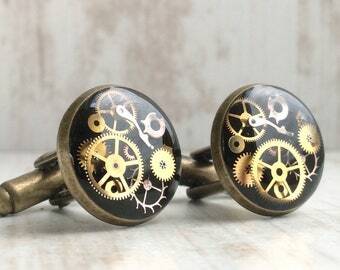 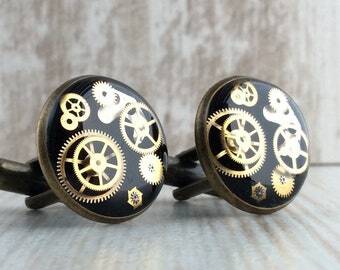 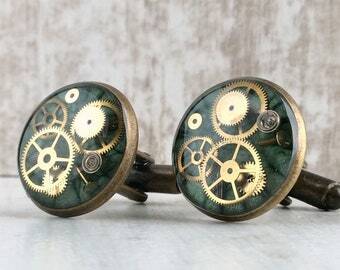 Every pair will be unique as each set of watch workings differ.